BEAT THE SUMMER HEAT WITH AN AC REPAIR, EDMONTON! Has it been a while since you’ve had a tune-up? Are you looking to beat the summer heat by getting an AC repair? Edmonton, Spruce Grove, Sherwood Park, and surrounding areas can all get speedy service and qualified repairs from Academy Mechanical Services. Don’t get us wrong; we all love sunny days and spending time outdoors, but without a proper functioning air conditioner it makes it feel like a permanent sauna. With our team, we’ll have your family peeled off that leather couch and enjoying the great indoors in no time! Whether your air conditioner is putting out zero or very little cool air, call the Edmonton AC repair specialists at Academy Mechanical Services. Because your comfort is a priority, we also offer 24-hour emergency repairs! YES, WE SELL AND INSTALL AC UNITS FOR EDMONTON-AREA HOMES! 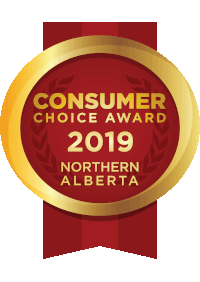 Academy Mechanical Services is well known for our work in maintaining and repairing air conditioners in the Edmonton area, but we can also recommend the perfect air conditioner and heat pump for your home and budget. After all, who better to get advice on choosing your next air conditioner than someone that truly understands its inner workings? That would be Academy Mechanical Services. If you’re looking to purchase a new air conditioner and have it installed, call the experts at Academy Mechanical Services. Has your rooftop air conditioning unit seen better days, or are you in the planning stages of a new-build project? Academy Mechanical Services can recommend and install the perfect rooftop air conditioning unit to suit your needs. Having a rooftop AC unit installed by a team that really knows their stuff can make your facility more comfortable for workers and guests. Also, by working with the region’s experts, we can save you a good deal of time and money by ensuring your rooftop unit operates efficiently for many years to come.